The water covering our planet is always in movement, and changing states between liquid, vapor, and ice. 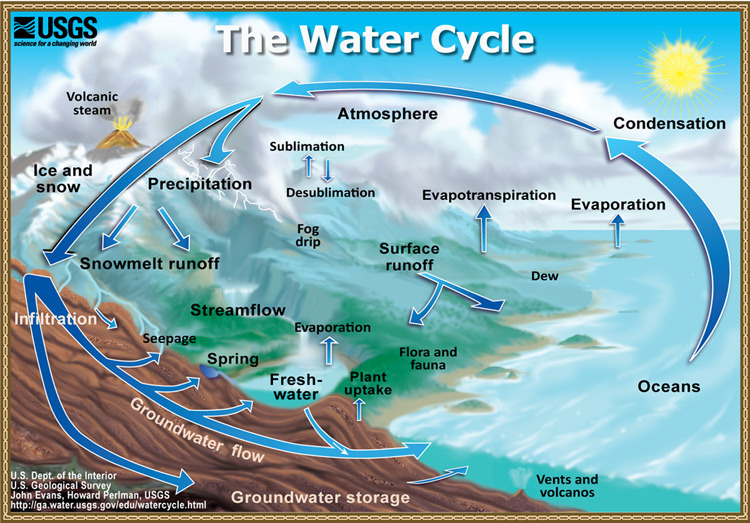 The water cycle –- also known as the hydrologic cycle -– describes the continuous movement of water above, on, and below the Earth’s surface. When snow or rain falls to the ground, water collects and flows to storm drains, streams, rivers, or lakes. Some of it evaporates and returns to the atmosphere, and some of it infiltrates into the ground. As water seeps into the ground, some of it is used by plants, while the remainder moves deeper underground. 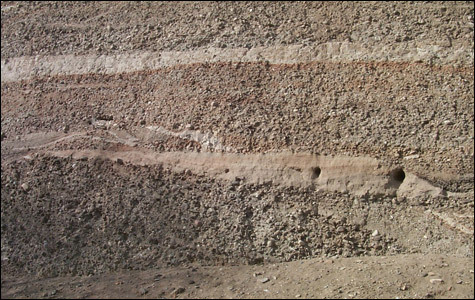 Groundwater is found in spaces between soil, sand, and gravel particles, and within pores and fractures in other geologic materials. The geologic formations that allow groundwater to flow to wells and springs are called aquifers. The rate at which groundwater can move (or flow) through these layers depends on the size of the spaces in the aquifer and how well the spaces are interconnected. The area where these spaces are filled with water is called the saturated zone. The top of the saturated zone is called the water table. The water table may be found at the ground surface or it may occur hundreds of feet beneath the ground surface. The water table rises or falls in response to many factors: heavy rains or melting snow can replenish (or recharge) the groundwater and cause the water table to rise. An extended period of dry weather, or groundwater pumping, can cause the water table to fall as groundwater is depleted. Movement of groundwater in an aquifer depends on the porosity and permeability of the aquifer, and therefore, varies greatly by area. A helpful resource on the basics of groundwater is the U.S. Geological Survey's publication Groundwater and the Rural Homeowner. Groundwater is used for drinking water by more than 50% of the people in the United States. In the Truckee Meadows, groundwater is a vital component of our community's water supply. While much of the local water demand is met using surface water from the Truckee River, during times of low river flows (such as under drought conditions), or during times when Truckee River water is heavy with sediment or otherwise unavailable, the community may be entirely dependent on groundwater. In the Truckee Meadows, up to 30% of our drinking water is currently derived from groundwater in a given year. The surface and groundwater that become our community's drinking water are managed and regulated at the federal, state, and local levels. The U.S. Environmental Protection Agency (EPA) is the federal agency charged with the protection of human health and the environment. EPA sets standards that protect surface and groundwater resources and ensures the safety of drinking water. To learn more, read about the Safe Drinking Water Act and the Clean Water Act. State agencies such as the Nevada Division of Environmental Protection (NDEP) administer many of the regulations put into place by EPA. If your drinking water comes from a private well, you are responsible for the water's safety. Drinking water suppliers in the Reno/Sparks area, such as Truckee Meadows Water Authority and Sun Valley General Improvement District, are responsible for providing customers with an annual report that includes where their drinking water comes from and what (if any) contaminants may be in it. The Nevada Division of Water Resources manages the state's water with programs related to water rights, dam safety, well drilling, and more. The Western Regional Water Commission and the Northern Nevada Water Planning Commission maintain the Regional Water Management Plan for Reno, Sparks, and southern Washoe County. EPA develops and enforces the National Primary Drinking Water Regulations that apply to public water systems. These standards protect public health by limiting the concentrations of contaminants in drinking water. EPA has set the maximum contaminant level (MCL) for tetrachloroethene -- commonly known as PCE -- in drinking water at 5 parts per billion, or 5 micrograms per liter (µg/L). It only takes a small amount of PCE to contaminate water to concentrations above the MCL: approximately 1 teaspoon of PCE would contaminate 450,000 gallons of water to a PCE concentration exceeding the MCL (450,000 gallons is the amount of water in two Olympic-sized swimming pools). EPA is currently reviewing the MCL for PCE and may make changes to the standard in 2015 or 2016. The best way to protect groundwater, and lessen potential public health issues, is to prevent it from becoming contaminated in the first place. Areas where water (from rainfall, snowmelt, or irrigation) at the land surface infiltrates toward the groundwater table (where it can be captured by a water supply well) are known as wellhead protection areas. Good practices in the handling and disposal of hazardous materials in these areas are considered critical for protecting groundwater against contamination. Protecting water at its source -- before it enters the drinking water supply -- is the goal of Nevada's Integrated SourceWater Protection Program (ISWPP) managed by NDEP. Originally part of Nevada's Comprehensive State Ground Water Protection Program, the ISWPP has been expanded to include source water protection beyond wellhead and groundwater protection areas. Source water includes lakes, springs, streams, rivers, and wells that become our water supply. EPA and NDEP both have web pages dedicated to source water protection. Groundwater wells must be protected or abandoned in accordance with State regulations to eliminate the possibility that they will become conduits for groundwater contamination. 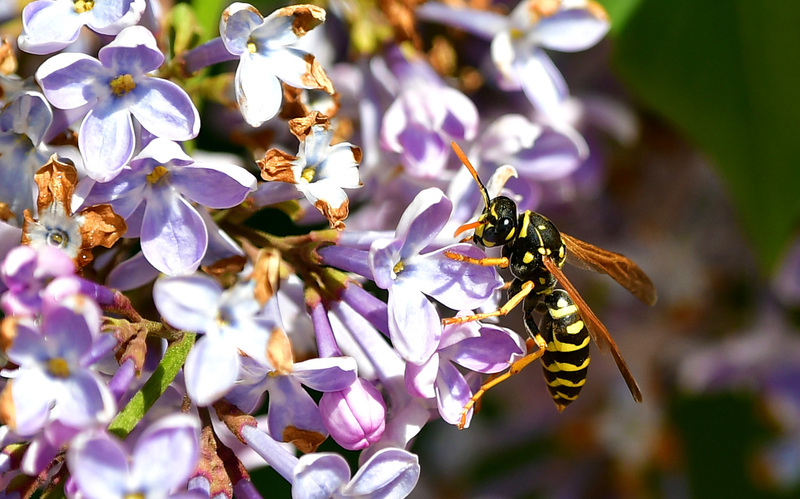 Washoe County Health District (WCHD) also regulates activities in order to protect the environment from contamination. Knowing what hazardous substances are in and around your home. These substances include solvents, cleaners, paints and lacquers, fertilizers, animal manures, herbicides, insecticides, etc. Storing and using these substances should be done carefully, and according to manufacturer's recommendations, and most importantly -- disposing of them responsibly. NEMO Nevada, a program of the University of Nevada Cooperative Extension, has published numerous helpful factsheets about water protection, including What to Do About Household Chemicals. Understanding your household's water use, both indoor and outdoor, so you can make choices to conserve the resource. Realizing that protecting groundwater reduces risks to the water supply. That, in turn, means less treatment and remediation costs, which can be substantial. For information about Protect Your Groundwater Day and other events visit the National Groundwater Association. This site includes a list of states and agencies partnering for better groundwater awareness.